Trek Web Design creates beautiful websites for photographers and artists. 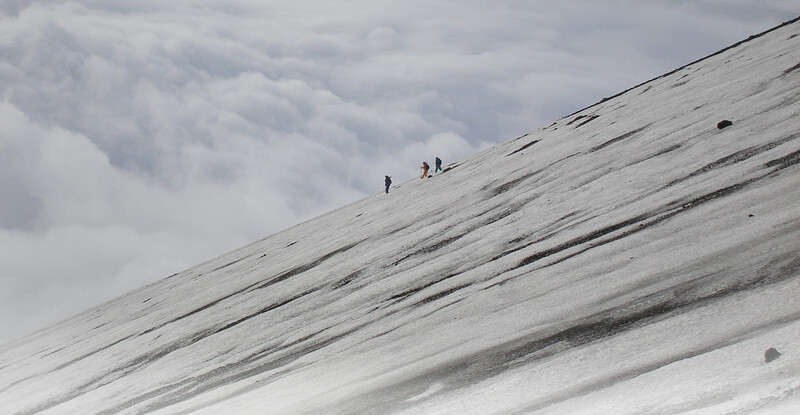 We love to build websites around gorgeous images. Our art and photography website designs always prioritise the display of your works. 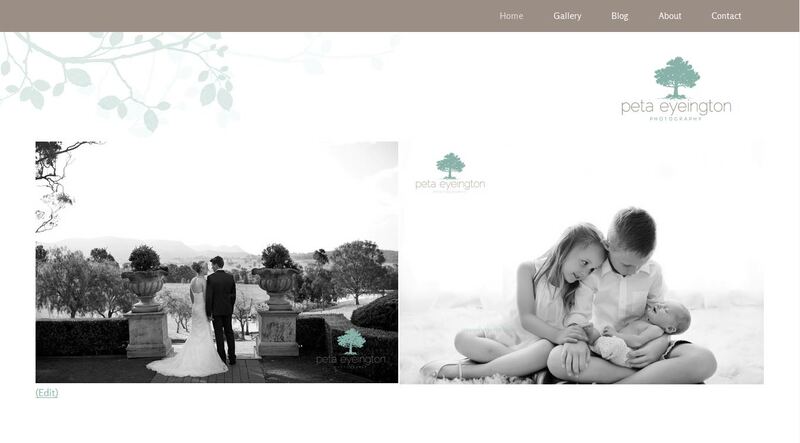 All of our photography websites have been built using the WordPress framework. This enables our photographers to upload their work to their websites themselves, and provides the option to showcase photoshoots in blog form. 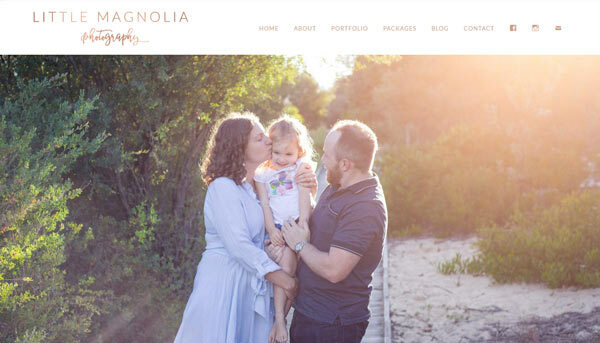 Michelle from Little Kite Photography Newcastle was after a mobile friendly image based website redesign on the Prophoto framework. 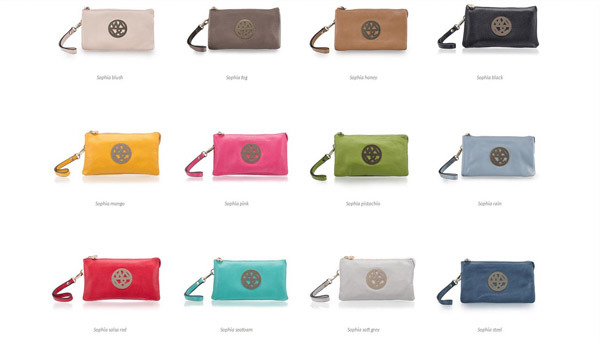 Her beautiful new website is based on the Minimal theme with light customisations. 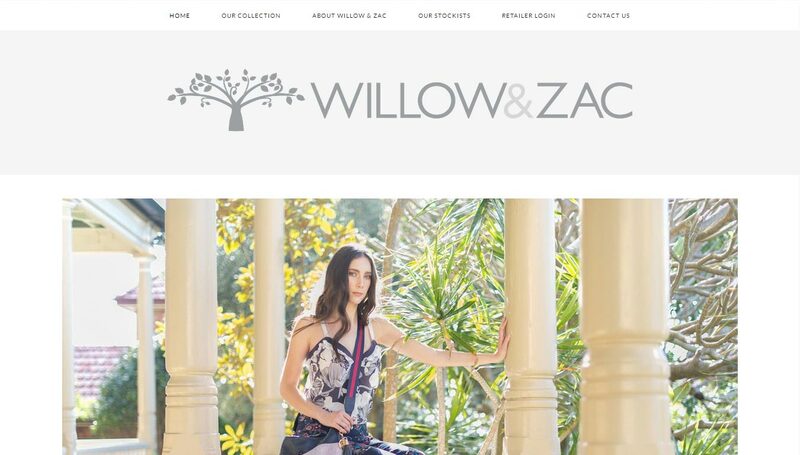 Boutique handbag designer & wholesaler Willow & Zac were after an updated modern website in time for their new season launch. 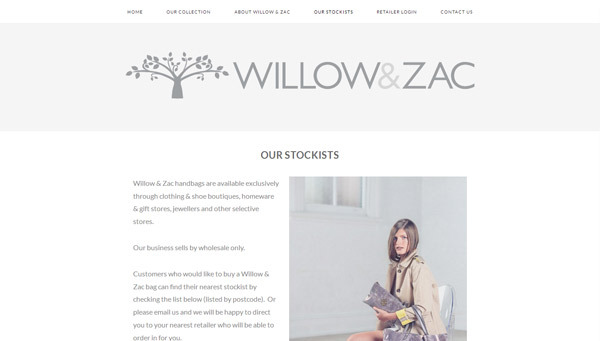 We created a minimalistic theme with clean lines in keeping with Willow & Zac’s brand styling. 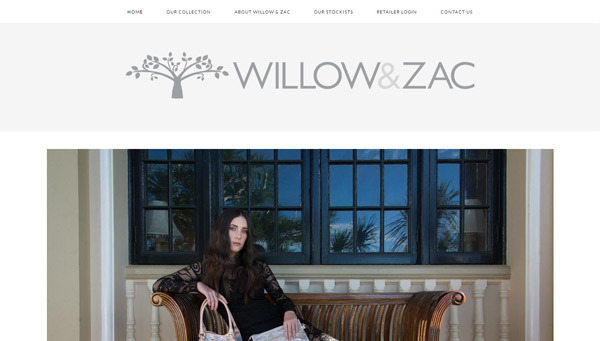 The site, which will continue to be updated regularly by Willow & Zac, serves to showcase Willow & Zac’s beautiful handbags to both consumer and retailer groups. 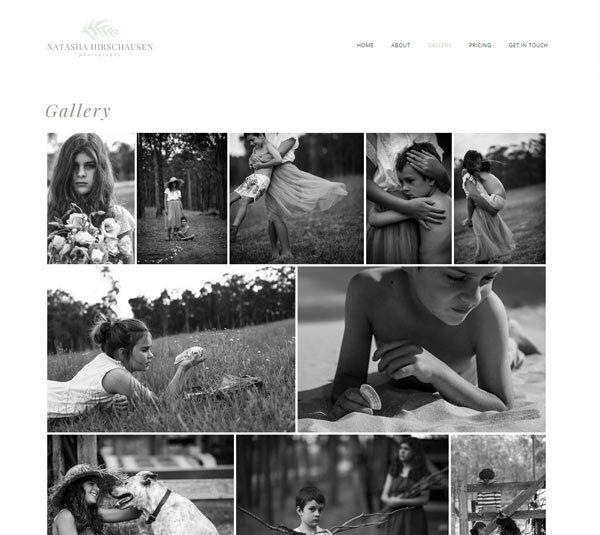 Natasha Hirschausen is a Hunter Valley black and white specialist portrait photographer. This is her first website. The site has been designed with a simple user friendly structure using layouts that place her unique works at the forefront. 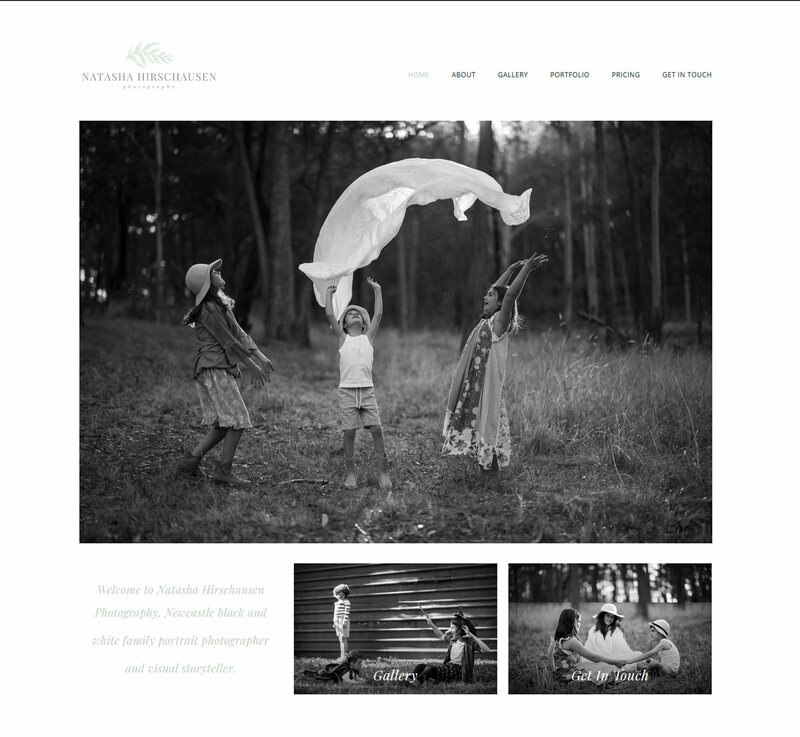 View the full website Natasha Hirschausen Photography. 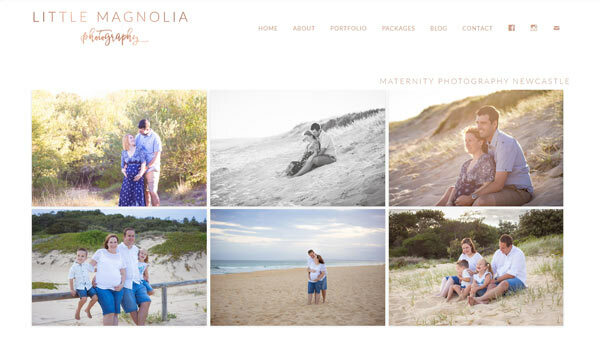 Little Magnolia Photography was after an updated theme for their WordPress site. 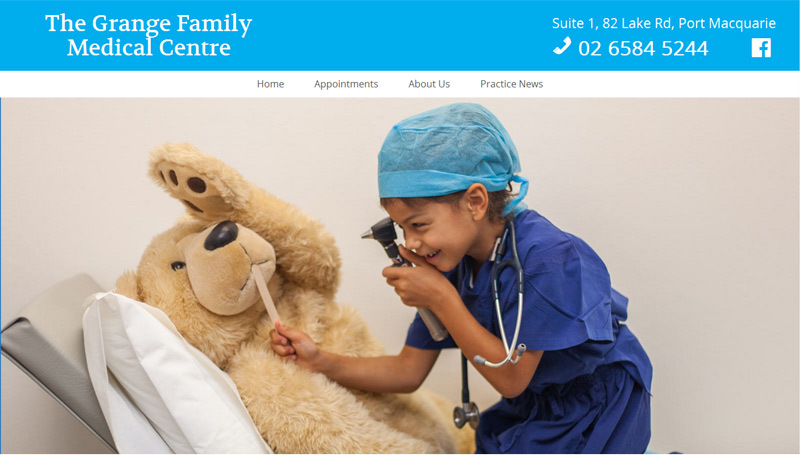 Their existing theme was not user friendly and the site was performing poorly in search engine results. We did a full custom theme update and on-site SEO throughout. 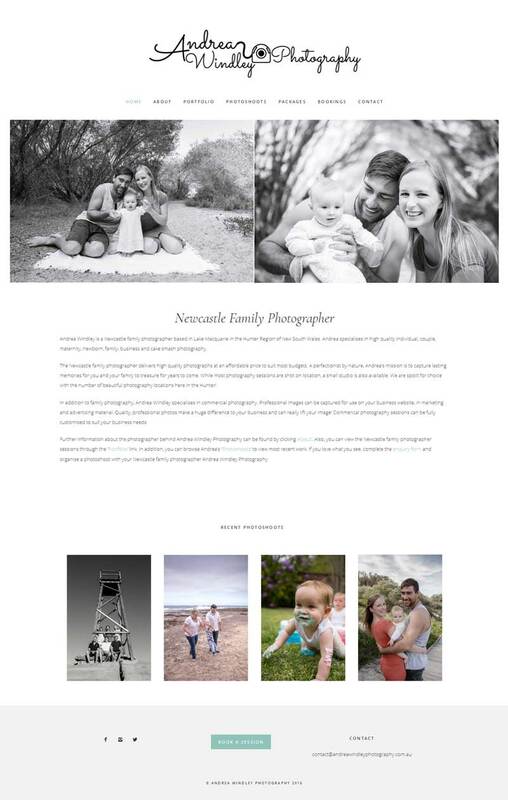 We created this website for Newcastle Photographer Andrea Windley based on the recently released StudioPress Gallery Pro theme. 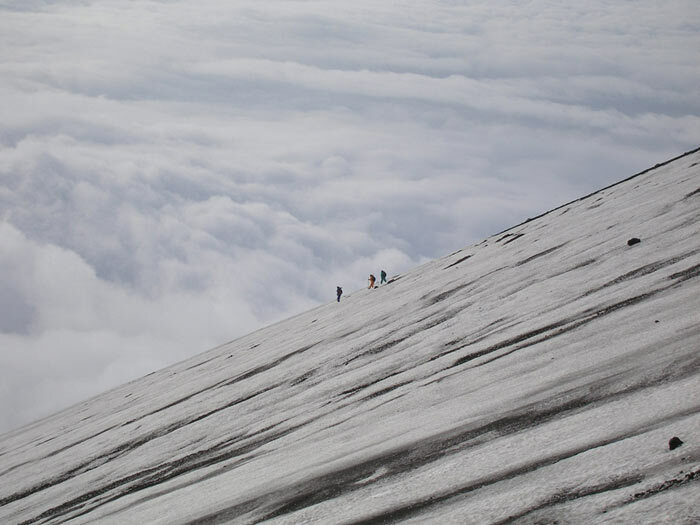 The site has a fresh, minimalist look to highlight the beautiful photography. Custom post types were created to construct the portfolio pages and enable Andrea to continue to add to her online portfolio. 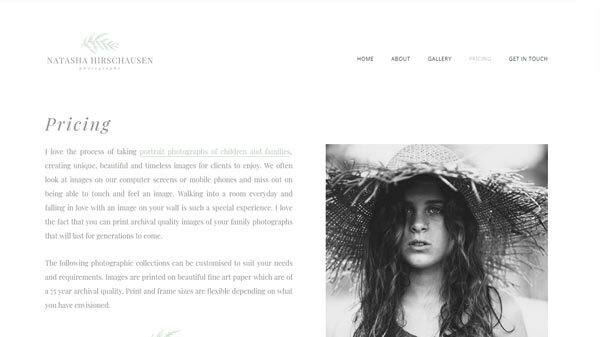 This photography portfolio website had been initially built by another designer. Multiple coding bugs and design issues led to the client seeking help from us. We redeveloped the site with some design adjustments. 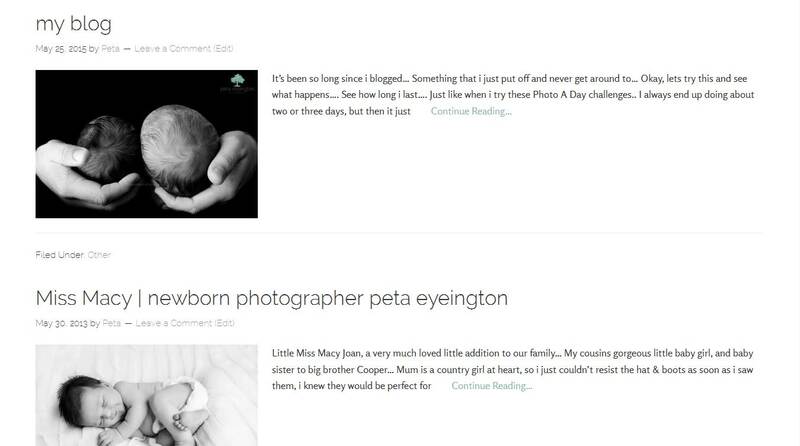 A new WordPress theme was built using the Genesis platform. Design modifications allowed for better showcasing of the client’s beautiful photographs. View Peta’s full site here.